where $c$ is the number of classes. 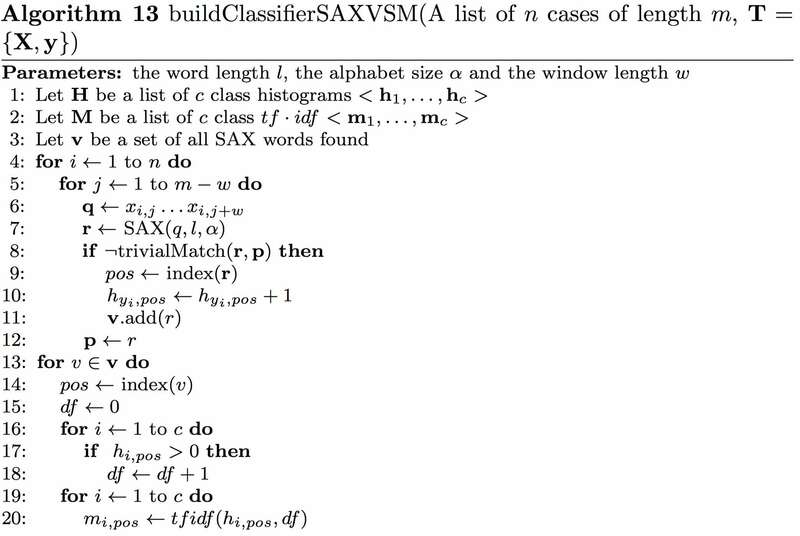 SAXVSM is described formally in Algorithm 13. Parameters $l$, $\alpha$ and $w$ are set through cross validation on the training data. Predictions are made using a 1-NN classification based on the word frequency distribution of the new case and the $tf\cdot idf$ vectors of each class. The Cosine similarity measure is used.